Labadze, Georgi; Taken on strength as a Gunner in 15th Field Artillery Regiment RCA on 7 Jun 2001, qualified QL2 General Military Training on 21 Jul 2001, qualified QL3 Artillery on 24 Aug 2001, qualified LFC Driver Wheeled on 26 Jan 2002. 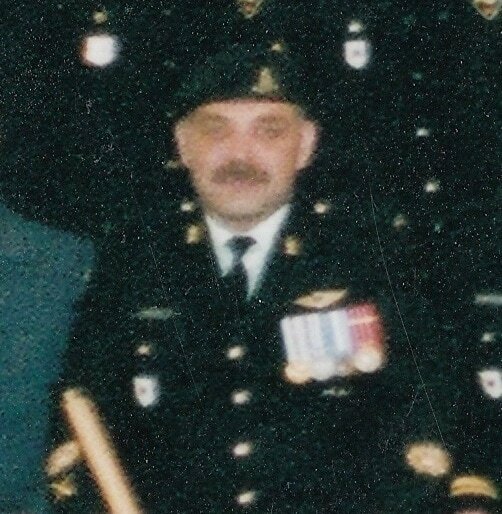 Labossiere, Donald Mark; Taken on Strength Militia in 1977, component transferred to Regular Force Artillery in 1980, Sergeant from 1983 to 1986, operational tour to Cyprus in 1985, Royal Canadian Artillery Battle School from 1986 to 1988, Warrant Officer from 1987 to 1999, 2nd Regiment Royal Canadian Horse Artillery from 1990 to 1993, Operational tour to Somalia in 1992, Unit Training Assistant from 1998 to 2000, component transferred to Reserve Force 2001, promoted Master Warrant Officer on 15 Mar 2001. Labouthillier, Ovila; Taken on strength 15th Field Regiment RCA on 16 Jan 1958. Lackey, Robert; Taken on strength in 15 Field Regiment RCA on 11 May 1950, struck off strength on 12 Feb 1954. Lacomel, Darryn A; Taken on strength as a Gunner in 15th Field Artillery Regiment RCA, Gunner in 2014, Bombardier in 2017. Lafortune, Marc Roland; Taken on strength as a Gunner in 15th Field Artillery Regiment RCA on 26 Feb 1976, qualified Artilleryman on 3 Aug 1976, qualified Artillery Communicator on 9 Jan 1977, promoted Bombardier on 1 Apr 1977, qualified Artillery Driver Wheeled on 25 Aug 1977, promoted Master Bombardier on 1 Apr 1979, released on 1 Sep 1979. Lahaye, Guillaume; Taken on strength as a Gunner in 15th Field Artillery Regiment RCA, qualified Gunner 2018. Lai, Chin Man Eric; Taken on strength as a Gunner in 15th Field Artillery Regiment RCA on 20 Jul 2000, released on 12 Apr 2001. Lai, Raymond; Taken on strength as a Gunner in 15th Field Artillery Regiment RCA on 7 Jul 1980, qualified General Military Training on 1 Nov 1980, qualified TQ1 Artillery on 26 Feb 1981, promoted Bombardier on 7 Jul 1981, released on 15 Feb 1983. Lainchbury, Darcy Ronald; Taken on strength as a Gunner in 15th Field Artillery Regiment RCA on 27 May 1997, qualified QL2 General Military Training on 13 Aug 1997, qualified QL3 Artillery on 22 Aug 1997, qualified Ql4 Artillery Communications on 22 Feb 1998. ​Laing, Keith Gordon; Taken on strength as a Cook in 15th Field Artillery Regiment RCA on 25 May 1968, qualified Artilleryman R021 on 23 Feb 1969, remustered to Artillery R021 on 24 Nov 1969, qualified Junior NCO on 31 Dec 1970, promoted Bombardier on 1 Feb 1971, released on 13 Oct 1972, taken on strength as Gunner on 19 Jun 1975, appointed Master Bombardier on 1 Oct 1978, qualified TQ2 Artillery Communications on 9 Jan 1977, qualified TQ2 Artillery Driver Wheeled on 3 Jun 1978, qualified TQ3 Artillery Detachment Commander Course on 16 Apr 1979, qualified Senior NCO on 22 Mar 1983, promoted Sergeant on 24 Mar 1983, qualified TQ1 Supply Technician on 11 Jul 1984, qualified QL2 Supply Technician on 20 Jul 1984, transferred to 12 Service Battalion on 15 Aug 1986. Lair, Raymond Richard; Taken on strength 15th Field Regiment RCA on enrolment with former service in Canadian Army (Active) on 22 Sep 1955, struck off strength on release on 1 Aug 1957. 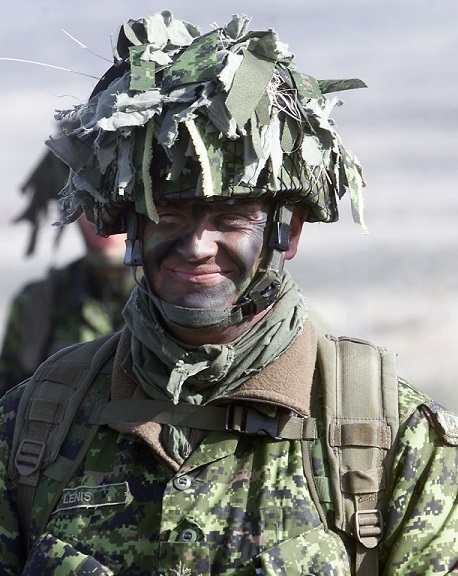 ​Lajoie, Joseph Pierre Paul; Taken on strength in the Regular Officer Training Plan 28 Jun 1989, entered Collège militaire royal de St. Jean Aug 1989, graduated as a Second Lieutenant May 1994, posted to 5e Régiment d'artillerie légère du Canada, promoted Lieutenant Aug 1996, deployed on OP STABLE with United Nations Support Mission in Haiti from Oct 1996 to Apr 1997, promoted Captain Jan 1998, deployed on OP RECUPERATION Winter 1998, completed Forward Observation Officer course Mar 1999, completed Forward Air Controller course in Sep 1999, deployed on OP PALADIUM ROTO 7 from Sep 2000 to Apr 2001 with B Battery 1st Regiment Royal Canadian Horse Artillery, posted to 5th (BC) Field Artillery Regiment RCA as Operations Officer/Adjutant Jul 2001, posted to 15th Field Artillery Regiment RCA as Adjutant Jul 2005, graduated from the Canadian Land Force Command and Staff College Sep 2005, posted to 5 Canadian Mechanized Brigade Group Headquarters Aug 2008, component transferred to 15th Field Artillery Regiment RCA Sept 2009, attended Fire and Effects course Jul 2012, qualified Reserve Battery Commander course Jul 2014, qualified Joint Reserve Command Staff Programme, appointed Battery Commander 31 Battery Jan 2011, promoted Major Nov 2012, appointed Second in Command May 2014, promoted Lieutenant-Colonel and appointed Commanding Officer 15th Field Artillery Regiment RCA 13 May 2017. Lake, JAE (JAG); Captain in 15th Field Artillery Regiment RCA in 1962. Lal, Ramnik; Taken on strength as a Gunner in 15th Field Artillery Regiment RCA on 28 Apr 1983, qualified General Military Training on 26 May 1984, qualified TQ1 Artilleryman on 7 Jul 1984, qualified TQ2 Basic Artillery Technician on 10 Aug 1989, promoted Bombardier on 7 Feb 1984, released on 2 May 1986. Laliberte, Frank Jules; Taken on strength as a Gunner 15th Field Artillery Regiment RCA on 11 Feb 1978, released 10 Jan 1979. 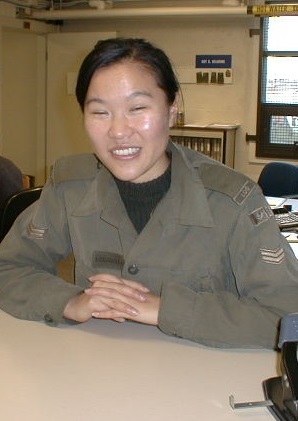 Lam, Wilfrid Chun Wing; Taken on strength as a Gunner in 15th Field Artillery Regiment RCA on 28 Jul 2004, qualified Basic Military Qualification on 3 Aug 2004. 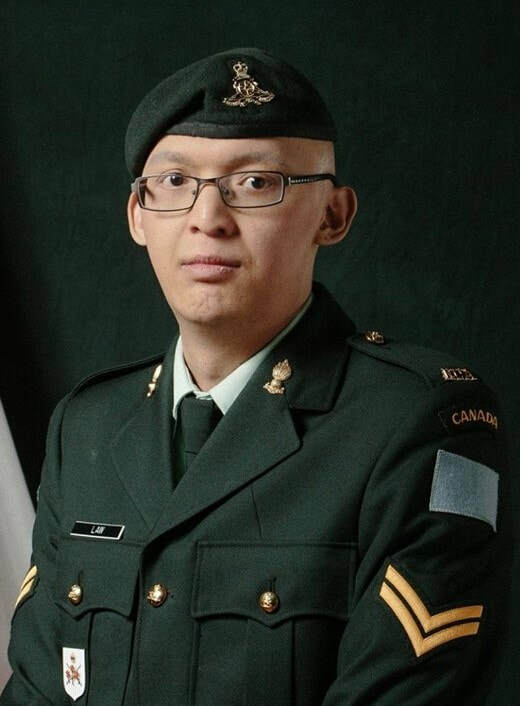 Lam, Alan L; Taken on strength in 15th Field Artillery Regiment RCA, Corporal in 2016. 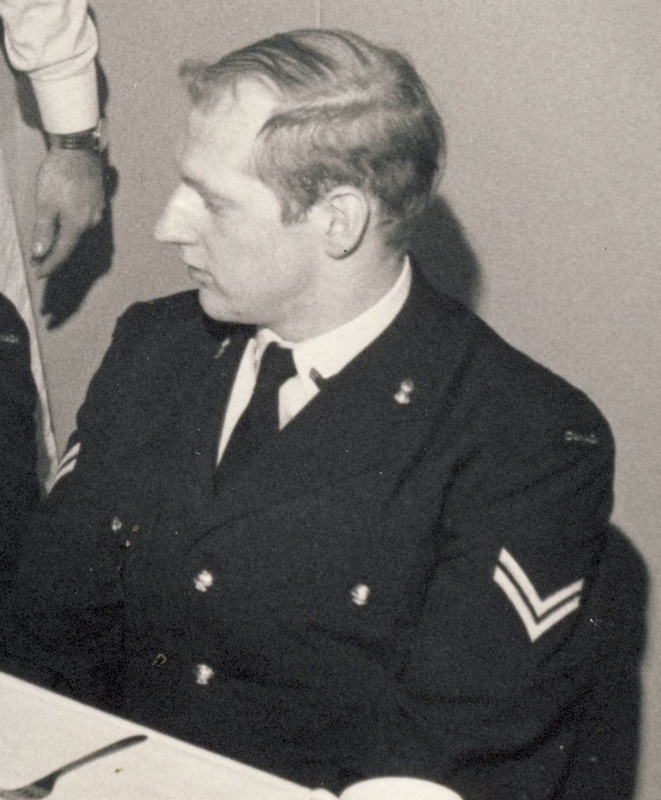 Lamb, Bram; Sergeant in the Regimental Band in 1969. 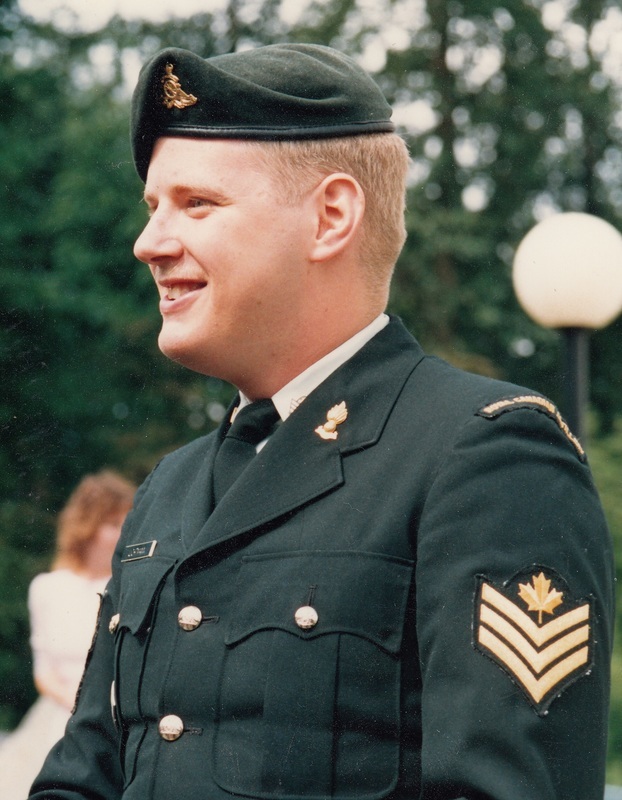 ​Lamb, Donald Bertram; Taken on strength as a Gunner in 15th Field Artillery Regiment RCA on 18 Feb 1993, appointed Officer Cadet on 1 Jul 1993, promoted Second Lieutenant on 11 Aug 1995, promoted Lieutenant on 1 Sep 1996, operational tour of duty with SFOR in 2000, Captain from 2005 to 2016, operational tour Afghanistan. Lamb, James Gerrard; Taken on strength as a Gunner with 31st Battery 15th (Vancouver) Coast Regiment RCA NPAM on 6 Aug 1940, assigned regimental number V9502, assigned new regimental number K415571. Lamb, Robert C (Bob); Captain in 1958, 43rd Medium Anti-Aircraft Regiment RCA in 1958. Lambert, Robert Ward; Taken on strength 15th Field Regiment RCA on enrolment on 24 May 1956, struck off strength on release on 1 Oct 1956. 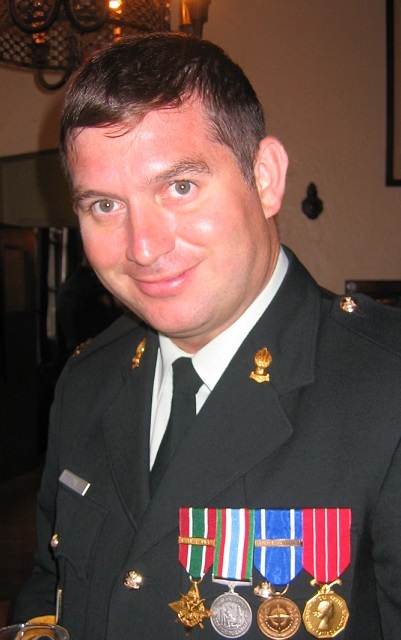 Lancaster, James Campbell; Taken on strength as a Gunner in 15th Field Artillery Regiment RCA on 26 Feb 2002, qualified Basic Military Qualification on 26 Jul 2002, qualified QL3 Artillery on 30 Aug 2002, qualified QL4 Artillery Communications on 15 Mar 2003. Lang, Walter Earl; Attested Canadian Overseas Expeditionary Force 24 Apr 1917, regimental #2943085, 74th Overseas Depot Battery Canadian Field Artillery, taken on strength 3 Divisional Artillery Column, struck off strength as deserter 2 Aug 1917, taken on strength from desertion 26 Sep 1917, embarked Halifax 3 Feb 1918, disembarked Liverpool 16 Feb 1918, arrived England 28 Aug 1915, taken on strength Reserve Brigade Canadian Field Artillery 2 Aug 1918, taken on strength 68th Battery 16th Brigade Canadian Field Artillery North Russia Expeditionary Force 21 Aug 1918, proceeded overseas 20 Sep 1918, arrived Archangel 1 Oct 1918, Driver in "C" Sub Section Apr 1919, embarked for the United Kingdom 11 Jun 1919, to Canada 5 Jul 1919, discharged 15 Jul 1919, deceased 15 Oct 1958 Ottawa ON. 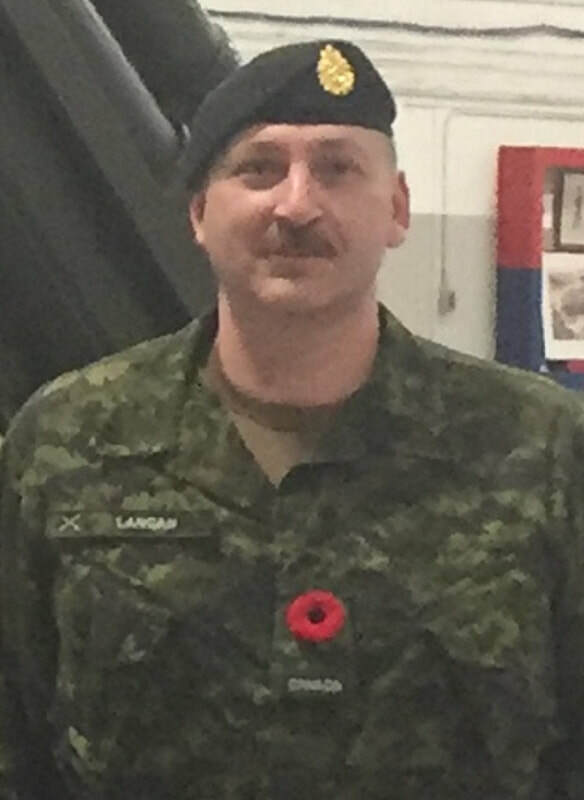 ​Langan, Joshua; Taken on strength as a Gunner in 15th Field Artillery Regiment RCA Apr 2017, BMQ 2018, BMQ Land Apr 2018, DP1 Artillery Jun 2018, Parts Manager Prairie Coast Equipment Chilliwack BC 2018. Langham, RW; On 1947-1967 list of reunion invitees. Langile, D; On 1947-1967 list of reunion invitees. ​Langley, Blake P; Gunner in 31 Battery from 1998 to 2000. 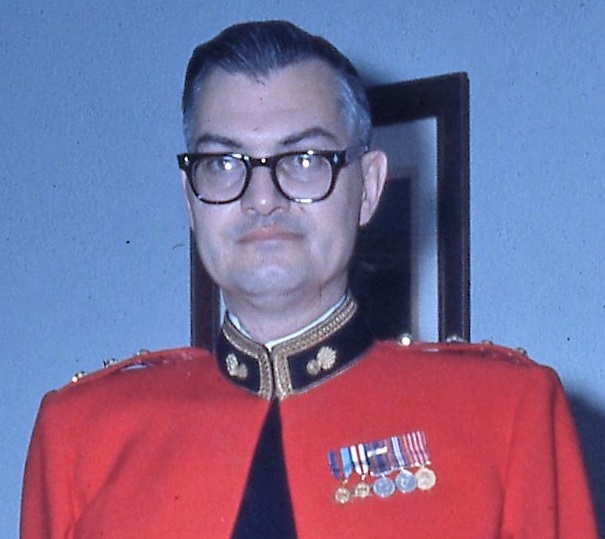 ​Langmuir, Allan; Lieutenant in 1958, 43rd Medium Anti-Aircraft Regiment RCA in 1958, Captain in 1963, transferred to 12 Service Battalion as Lieutenant-Colonel and Commanding Officer, Honorary Colonel 12 Service Battalion, deceased 30 Dec 2008. Lansdell, John Robert; Assigned regimental number TK-97022, attached to 15th Field Regiment RCA as Captain from 7 AAOR RCA CA(M) 15 Jul 1955, ceased attachment fap, attached to 15th Field Regiment RCA as Captain from 7 AAOR RCA CA(M) 29 Jun 1956, ceased attachment 8 Jul 1956, attached to 15th Field Regiment RCA from 7 AAOR RCA CA(M) 17 Jan 1957, appointed Adjutant 3 Jan 1957, awarded Canadian Forces Decoration 17 Mar 1958. LaPlante, Albert Jean; Taken on strength 15th Field Regiment RCA on 27 Nov 1958. Lara, Elnor Estrella; Taken on strength as a Gunner in 15th Field Artillery Regiment RCA on 17 Jun 1992, qualified QL2 General Military Training on 24 Jul 1992, qualified QL3 Artilleryman on 13 Jan 1995, released on 14 May 1996. Large, G; On 1947-1967 list of reunion invitees. ​Lark, George Angus William; Attached fap from HQ RCA 5 Div as Honorary Captain in 15th Field Regiment RCA on 18 Mar 1948 from RCAChC, ceases to be attached on appointment to Regular Force on 30 Dec 1948. ​Larkin, DJ; Taken on strength 15th Field Artillery Regiment RCA, Corporal from 2005 to 2007, awarded Most Efficient Corporal of the Year 2008, Master Corporal from 2008 to 2011. Larkman, James Houghton; Taken on strength 31 Battery 15th (Vancouver) Coast Brigade RCA NPAM 6 Aug 1940, assigned regimental number VV9462, appointed Cook 23 Sep 1940, assigned new regimental number K415567, struck off strength transferred to Royal Canadian Air Force 26 Nov 1940, promoted Sergeant, deceased 25 Nov 1978, buried Qualicum Beach Municipal. 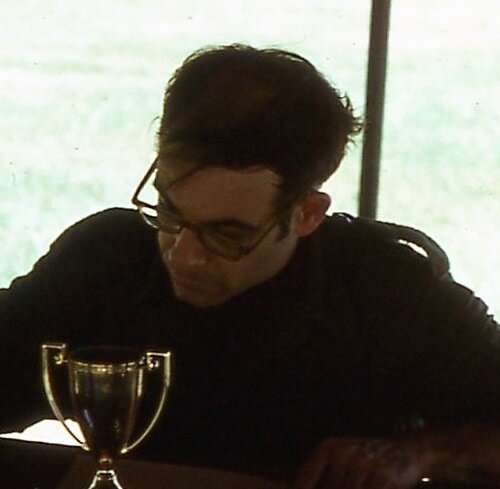 Laroque, EEJ; Private in 158 Battery in 1969. ​Larsen (Belcher), Dawne; Taken on strength as an Administrative Clerk in 15th Field Artillery Regiment RCA 1 Jul 1974, qualified General Military Training 23 Aug 1974, qualified TQ1 Artillery, qualified Cook 15 Aug 1975, qualified Junior NCO 4 Jan 1976, promoted Bombardier 1 Apr 1976, changed MOC to Cook 15 Aug 1975, released 22 Feb 1977, re-enrol 1 Oct 1987, qualified BTT Finance 17 Jan 1988, qualifed STT Finance 19 Aug 1988, remuster to Finance 20 Oct 1988, promoted Bombardier 19 Aug 1988, promoted Master Bombardier 19 Aug 1988, transferred to Supplementary Ready Reserve 31 Aug 1993. Larsen, Duke Shane; Taken on strength as a Gunner in 15th Field Artillery Regiment RCA on 10 Jan 1995, qualified QL2 General Military Training on 11 Aug 1995, released on 11 Apr 1996. 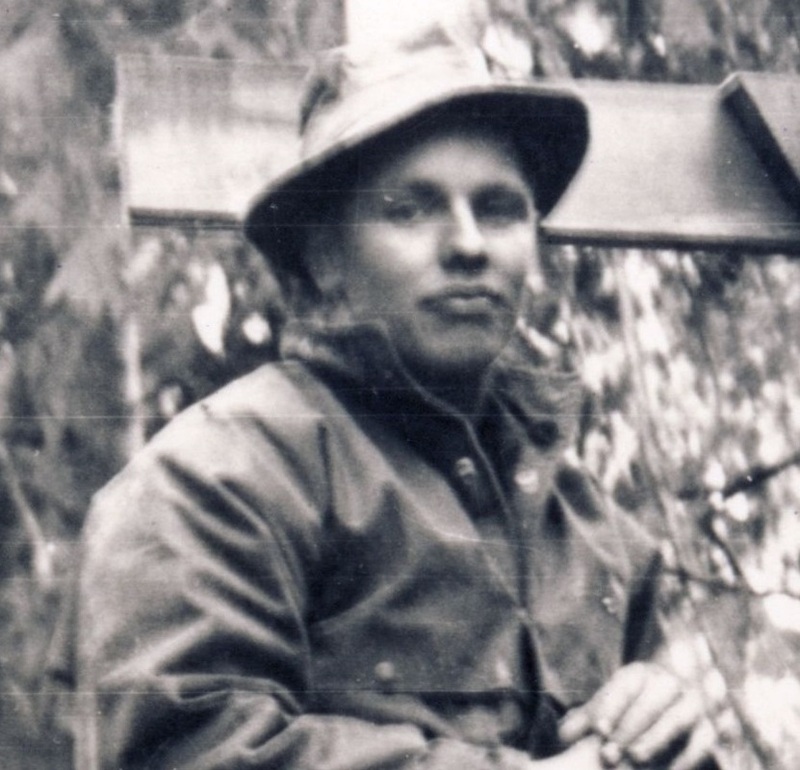 Larsen, John; Gunner in 85th Heavy Battery 15th (Vancouver) Coast Brigade RCA on Yorke Island. Larsen, John Horatio Reynolds; Taken on strength 31 Battery 15th (Vancouver) Coast Brigade RCA NPAM 6 Aug 1940, assigned regimental number VV9463, assigned new regimental number K415568. Larsen, SE; Taken on strength in 15 Field Regiment RCA on 9 Mar 1950, struck off strength on release on 19 Apr 1955. Larter, Raymond Alexander; Taken on strength from former service Canadian Army Reserve Force Seaforth Highlanders in 15th Fd Regiment RCA on 1 Nov 1951, appointed Lance Bombardier on 4 Feb 1952, appointed Acting Bombardier on 10 Apr 1952, confirmed as Bombardier on 1 Oct 1952, appointed Acting Sergeant on 1 Oct 1952, struck off strength on enlistment in Royal Canadian Air Force. La-Ruejo, Antonio Jose; Taken on strength 15th Field Regiment RCA on 4 Mar 1958. 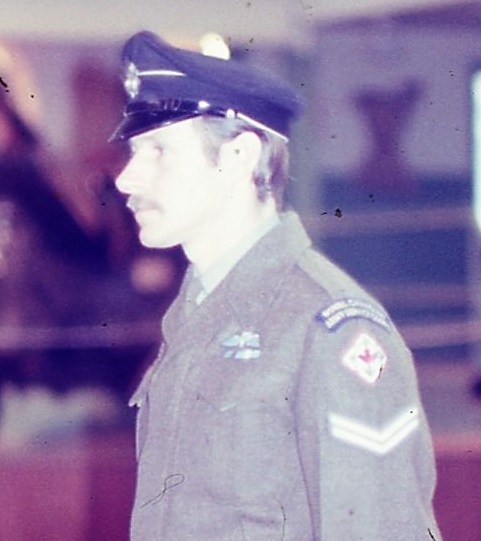 ​Laschuk, GW; Taken on strength as a Gunner in 15th Field Artillery Regiment RCA 10 Jul 1972, appointed officer Cadet 1 Feb 1973, promoted Second Lieutenant 1 Sep 1973, promoted Lieutenant 1 Sep 1975, employed GAMESCAN from 31 May 1976 to 9 Aug 1976, promoted Captain 1 Sep 1976, attached to BC District Headquarters 1 Sep 1977, transferred to Supplementary List 1 Apr 1981, dentist. Lastavec, Joseph Bradley; ​Taken on strength as a Gunner in 15th Field Artillery Regiment RCA on 19 May 1998, released on 29 Oct 1998. 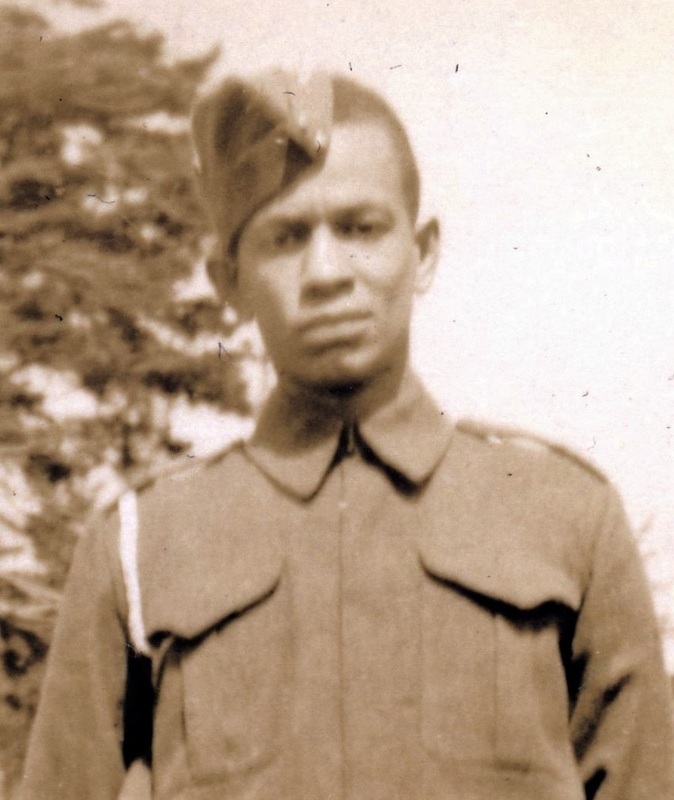 ​Lataboudieau, Ken; Gunner in 85th Heavy Battery 15th (Vancouver) Coast Brigade RCA on Yorke Island. ​Latimer, Herbert James; Captain in 15th Brigade Canadian Field Artillery in 1916. Lau, Keith Kei Gee; Taken on strength as a Gunner in 15th Field Artillery Regiment RCA on 18 Jul 2000, released on 30 Jan 2002. Lau, Kerry; Taken on strength 15th Field Artillery Regiment RCA on 2 Jul 1981, released 6 Sep 1981. Lau, Stephen Shiu Fai; Taken on strength as a Gunner in 15th Field Artillery Regiment RCA on 19 Nov 1977, qualified General Military Training on 3 Jul 1978, qualified TQ1 Artilleryman on 27 Aug 1978, promoted Bombardier on 1 Feb 1979, qualified Driver Non-Trade on 18 Dec 1980, qualified TQ2 Basic Artillery Technician on 12 Aug 1983, promoted Master Bombardier on 26 Jan 1985, transferred to Supplementary List on 31 May 1985. Laurin, R; Private in 31 Battery in 1969. 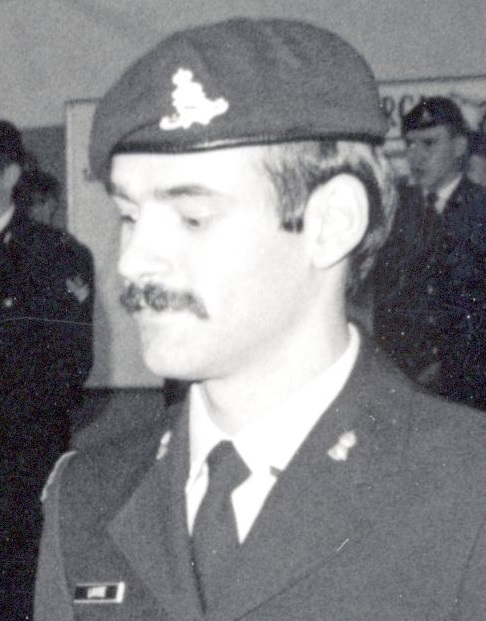 Lavalee, AD; Regular Force Cadre Master Bombardier in 1994. Laverick, Joseph Kenneth; Taken on strength 31 Battery 15th (Vancouver) Coast Brigade RCA NPAM 6 Aug 1940, assigned regimental number VV9464, assigned new regimental number K415569. ​Lavoie, Michael Claude; Qualified General Military Training on 27 Aug 1979, taken on strength as an Acting Bombardier with previous service in 15th Field Artillery Regiment RCA on 24 May 1983, qualified TQ1 Artilleryman on 7 Jul 1984, qualified Driver Non-Trade on 1 Jan 1984, promoted substantive Bombardier on 7 Jul 1984, qualified QL1 Vehicle Technician on 18 Aug 1986, transferred to 12 Service Battalion on 1 Feb 1987. Lavoie, William Frederick; Attested 22 Sept 1914, regimental #40206, Gunner 1st Battery 1st Brigade Canadian Field Artillery, disembarked France 9 Feb 1915, awarded 2 days Field Punishment #1 for leaving team on the march 11 May 1915, awarded 7 days Field Punishment #1 absent without leave 18 Jun 1915, awarded 14 days Field Punishment #1 absent without and failing to report to NCO Piquet 17 Jul 1915, awarded Good Conduct Badge on completion of 2 years service with good conduct 22 Sep 1916, appointed Acting Bombardier 28 May 1917, promoted Bombardier 16 Jun 1917, granted Leave to Paris 29 Jul 1917, rejoined from Leave 9 Aug 1917, promoted Corporal 3 Sep 1917, promoted Sergeant 12 Sep 1917, to Artillery School from 5 Nov to 1 Dec 1917, taken on strength 68 Battery 16th Brigade 9 Sep 1918, reverts to rank of Gunner at own request 9 Sep 1918, proceeded overseas to the North Russia Expeditionary Force 20 Sep 1918, disembarked Archangel 1 Oct 1918, promoted Bombardier 14 Apr 1919, embarked Archangel for United Kingdom 11 Jun 1919, struck off strength to Canada 5 Jul 1919, discharged 15 Jul 1919, deceased 15 Sep 1954. Law, AZ; Gunner in 2009, Awarded the Gunner Douglas Corsor Jr. memorial trophy in 2009. Law, Andy Kit C; Taken on strength in 15th Field Artillery Regiment RCA, promoted Bombardier 24 May 2014. Law, Christy; Attested 17 Oct 1914, regimental #50064, taken on strength 1 Close Support Hospital 24 Feb 1915, embarked to France 13 May 1915, neglect of duty in that he performed his duty in the kitchen in a slow and dilatory manner forfeits 3 days pay 11 Jun 1915, transferred to 2nd Canadian Divisional Ammunition Column 3 Jun 1916, granted leave of absence 4 Feb 1917, returned from leave 25 Feb 1917, invalided sick 18 Nov 1917, taken on strength Canadian Artillery Regimental Depot 20 Nov 1917, attached to 2nd CCD 16 Jan 1918, ceases to be attached 5 Apr 1918,posted to Reserve Brigade Canadian Field Artillery 5 Apr 1918, , taken on strength Composite Brigade Canadian Reserve Artillery 23 May 1918, posted to Canadian Artillery Regimental Depot 29 May 1918, attached to 2nd CCD 29 May 1918, cease attachment 2nd CCD 5 Jul 1918, taken on strength Composite Brigade Canadian Reserve Artillery 5 Jul 1918, taken on strength 68 Battery 16 Brigade 21 Aug 1918, proceeded overseas North Russia Expeditionary Force 20 Sep 1918, disembarked Archangel 1 Oct 1918, embarked Archangel for the United Kingdom 11 Jun 1919, to Canada 5 Jul 1919, discharged 15 Jul 1919, deceased 2 Aug 1973, buried Mount Royal Cemetery Montreal QC. Lawrence, Andrew John; Taken on strength as a Gunner in 15th Field Artillery Regiment RCA on 22 Nov 1994, released on 19 Sep 1995. ​Lawrence, Anthony (Tony); Served with 2nd Battalion The Parachute Regiment, taken on strength with Royal Canadian Army Service Corps, attached to 15th Field Artillery Regiment, deceased 7 February 2015. Lawrence, Glover Samuel; Taken on strength 1st Depot Battalion British Columbia Regiment 20 Mar 1918, transferred to 68th Depot Battery Canadian Field Artillery Gunner 20 Mar 1918, assigned regimental number 2022328, embarked Canada 17 Apr 1918, disembarked England 28 Apr 1918, taken on strength Reserve Brigade 28 Apr 1918, proceeded overseas 8 Oct 1918, taken on strength Canadian Artillery Pool 10 Oct 1918, taken on strength 1st Canadian Divisional Ammunition Column 30 Dec 1918, proceeded to England 19 Mar 1918, to Canada 23 Apr 2019, discharged 14 May 1919, married Jean McKenzie Bissett 19 Dec 1925, deceased 6 Jan 1976, buried Dawson Creek City Cemetery Dawson Creek BC . Lawrence, Sherri-Lynne; ​Taken on strength as a Finance Clerk with former service in 15th Field Artillery Regiment RCA on 2 May 1985, qualified TQ1 Finance, qualified TQ1 Administration, released on 5 Dec 1985. ​Lawrence, WJE; Private in 31 Battery in 1976. 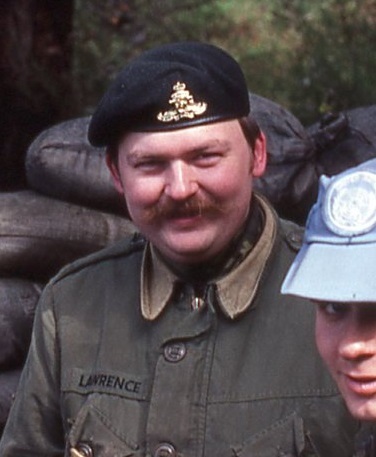 Lawrence, William T; Private in Regimental Headquarters in 1978, Assistant Cook. Lawson, Donald James; Taken on strength as a Gunner with 58th Battery 15th (Vancouver) Coast Regiment RCA NPAM on 21 Aug 1940, assigned regimental number V9962, assigned new regimental number K416576, struck off strength on transfer to Canadian Officers Training Corps 22 Nov 1940. Lawson, John James; Eight Years with 8 Brigade Royal Field Artillery, Corporal in 15th Brigade Canadian Field Artillery in 1916. Lawson, Mike; Musician in 15th Field Regiment RCA Band in 1960. Lawson, Robert George; Taken on strength as a Gunner with 85th Battery 15th (Vancouver) Coast Regiment RCA NPAM on 9 Aug 1940, assigned regimental number V10464, struck off strength 30 Sep 1940 leaving regimental area. Lawton, David Arthur; Taken on strength in 15th Field Regiment RCA on 19 Mar 1953, struck off strength on 12 Nov 1953. Layton, John (Stoke); Gunner in 85th Heavy Battery 15th (Vancouver) Coast Brigade RCA in 1939, sent home from Yorke Island in Oct 1939 as being too young to serve. Le, AR; Taken on strength in 15th Field Artillery Regiment RCA, Pte (Recruit), awarded Most Efficient Recruit of the Year trophy 2008. 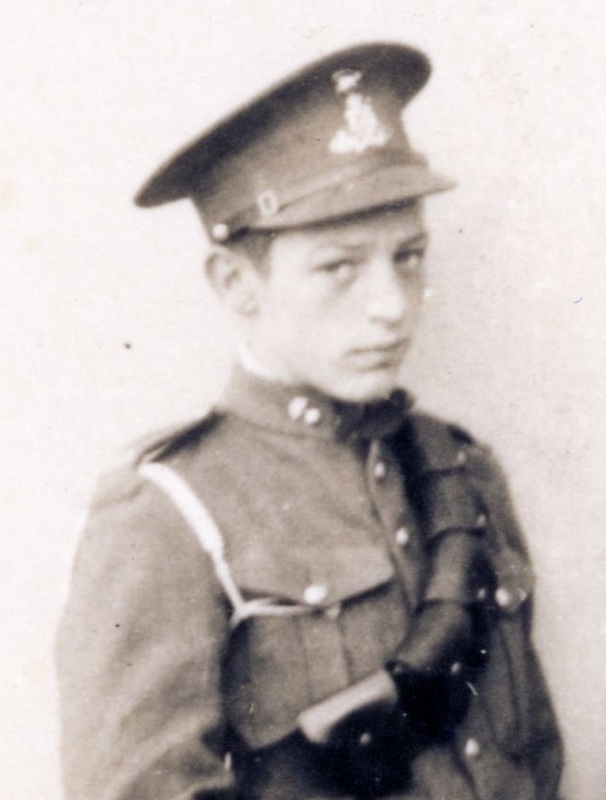 Lea, Harry Windsor; ​Taken on strength with Prince Edward Island Heavy Brigade Canadian Garrison Artillery, taken on strength as a Gunner with the No. 5 Siege Battery Canadian Garrison Artillery on 26 Apr 1916, embarked on the S.S. Southland on 26th Sep 1916, unit renamed 8th Siege Battery Canadian Garrison Artillery on 31 Mar 1917, landed in France on 31 Mar 1917, gassed 29 Jul 1917, taken on strength Canadian Artillery Regimental Depot on 7 Aug 1917, attached to 2 CCD on 12 Oct 1917, cease attachment on 1 Feb 1918, taken on strength Reserve Brigade Canadian Garrison Artillery on 4 Feb 1918, appointed Acting Sergeant on 11 Feb 1918, taken on strength as Flight Cadet in Royal Air Force on 11 Oct 1918. 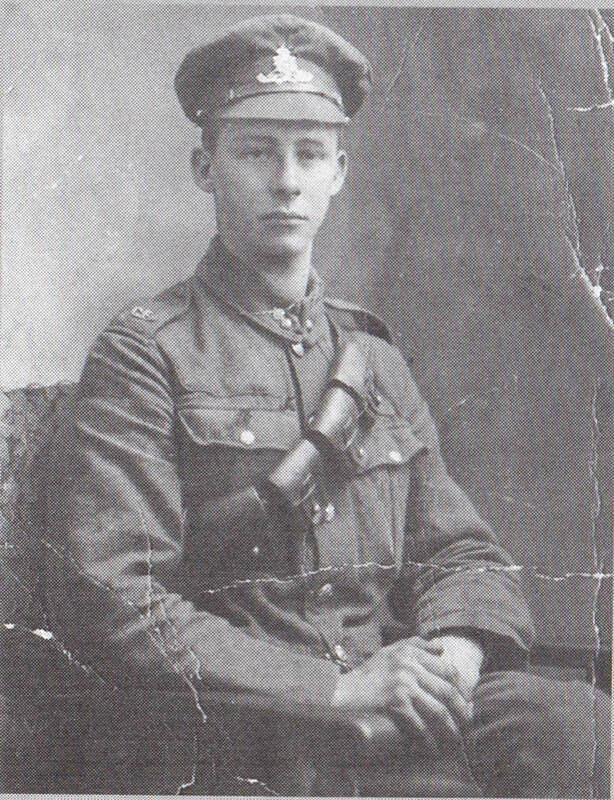 Lea, Herbert Rexford; Taken on strength with Prince Edward Island Heavy Brigade Canadian Garrison Artillery, taken on strength as a Gunner with the No. 5 Siege Battery Canadian Garrison Artillery on 26 Apr 1916, appointed provisional Battery Sergeant Major 11 Jul 1916, embarked on the S.S. Southland on 26th Sep 1916, unit renamed 8th Siege Battery Canadian Garrison Artillery on 31 Mar 1917, landed in France on 31 Mar 1917, confirmed in rank of Battery Sergeant Major on 10 Jun 1917, now known as 3 Brigade Canadian Garrison Artillery on 3 Apr 1918, invalided sick on 16 Mar 1919, taken on strength Canadian Artillery Regimental Depot on 29 Jul 1919, awarded Distinguished Conduct Medal on 12 Aug 1919, struck off strength to Canada on 6 Sep 1919, deceased 1943, buried at Burnsland Cemetery Calgary AB. Leary, Joseph Edward; Taken on strength as Gunner in 15th Field Artillery Regiment RCA on 2 Oct 1973, remustered to Musician on 1 Jan 1974, released 17 Dec 1976. 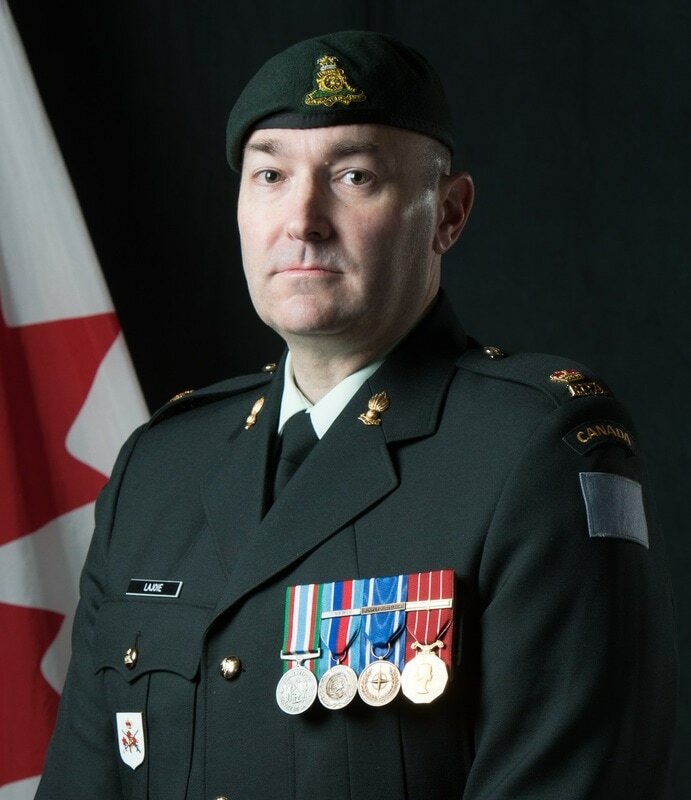 Leblanc, Chad Roy Evans; Taken on strength as a Gunner in 15th Field Artillery Regiment RCA on 22 Jan 1987, qualified General Military Training on 13 Jun 1987, released on 13 Jun 1987. ​LeBlanc, Gabriel Augustin; Taken on strength with 165th Battalion, struck off strength medically unfit on 8 May 1916, taken on strength with Prince Edward Island Heavy Brigade Canadian Garrison Artillery, taken on strength as a Gunner with the No. 5 Siege Battery Canadian Garrison Artillery on 20 Jun 1916, embarked on the S.S. Southland on 26th Sep 1916, unit renamed 8th Siege Battery Canadian Garrison Artillery on 31 Mar 1917, landed in France on 31 Mar 1917, gassed on 4 Aug 1917, died of gas effects on 21 Aug 1917, buried at Étaples Military Cemetery France. 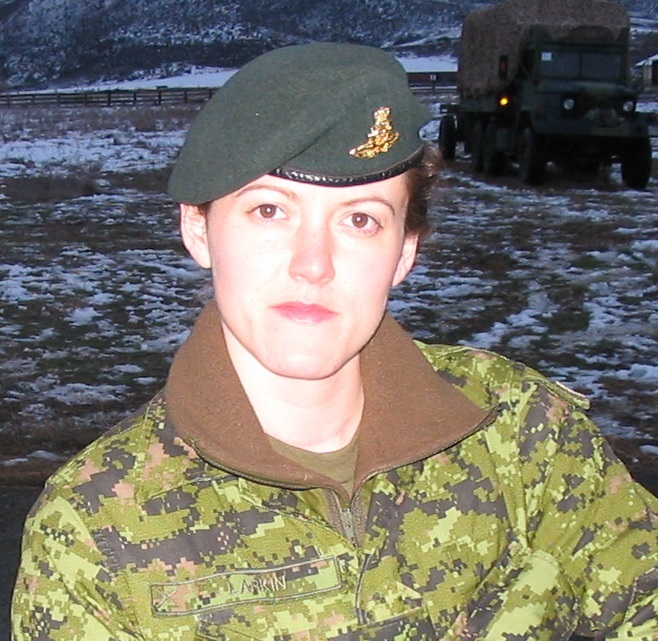 Leblanc, Natalie Ann; Taken on strength as a Finance Clerk in 15th Field Artillery Regiment RCA on 18 Jun 1992, qualified QL2 General Military Training on 7 Mar 1993, released on 16 May 1995. Le Bleu, Wilfred Joseph; Taken on strength as a Gunner in 15th Field Artillery Regiment RCA CA (M) on 3 November 1966. Leckie, Robert Gordon; 68th Battery Canadian Field Artillery Gunner April 1917, England Feb 1918, France Brigade Ammunition Column Driver Oct 1918, 43rd Battery, Canada and discharged July 1920. 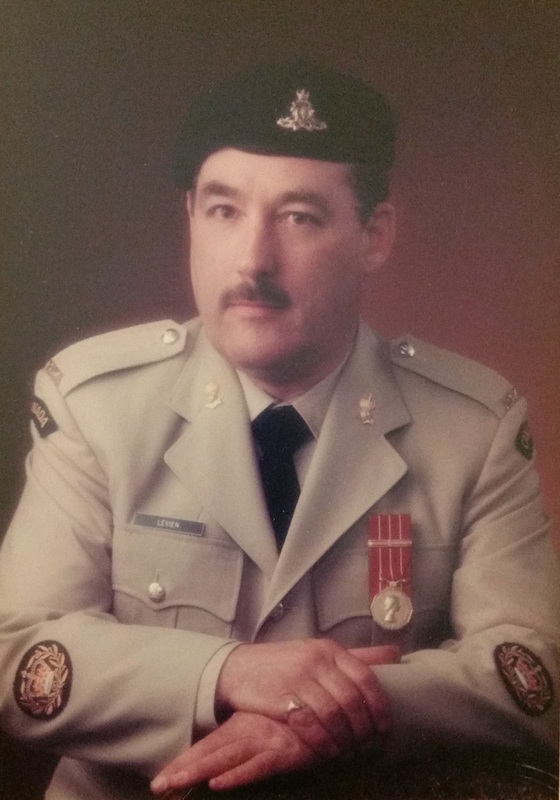 Leduc, Eugene Robert; Taken on strength as a Musician in 15th Field Artillery Regiment RCA on 15 Jun 1978, qualified General Military Training on 16 Jun 1979, qualified TQ1 TQ2 and TQ3 Musician on 2 Sep 1979, promoted Bombardier on 1 Jan 1980, promoted Master Bombardier on 1 Jan 1982, qualified Junior NCO on 19 Aug 1983, trans to Supplementary List on 24 May 1985. 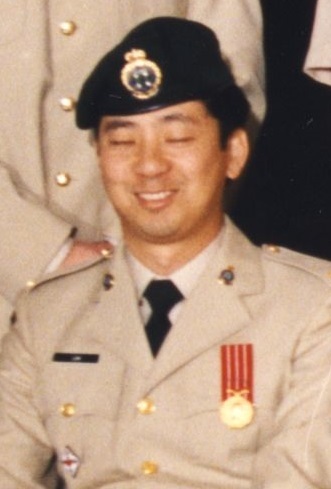 Lee, Bill Koon Ho; Taken on strength as a Gunner in 15th Field Artillery Regiment RCA on 10 May 1990, released on 24 Aug 1990. Lee, Fu Yon; Taken on strength as a Gunner in 15th Field Artillery Regiment RCA on 19 Jul 2001, qualified QL2 General Military Training on 22 Aug 2001, qualified LFC Driver Wheeled on 26 Jan 2002, released on 16 Oct 2003. Lee, Jack; Taken on strength in 15th Field Regiment RCA on 7 Oct 1952, struck off strength on release on 1 Apr 1956. Lee, Ji Yeon; Taken on strength as a Gunner in 15th Field Artillery Regiment RCA, Private in 2017. Lee, Marvin On Quinn; Taken on strength as a Gunner in 15th Field Artillery Regiment RCA on 16 Aug 1982, qualified General Military Training on 31 Dec 1983, transferred to Seaforth highlanders of Canada. ​Lee, Paul Kai-Kwong; Taken on strength as a Gunner in 15th Field Artillery Regiment RCA on 16 Aug 1982, appointed Officer Cadet on 3 Nov 1983, qualified MITCP Block 2 on 27 Jul 1984, qualified Driver Non-Trade on 1 Jan 1984, released on 10 Jul 1986. Lee, Victor Munben Guy; Taken on strength as a Musician in 15th Field Artillery Regiment RCA on 5 Jul 1984, qualified General Military Training on 17 Aug 1984, released on 12 Dec 1984. Lee, Wai Lan William; Taken on strength as a Gunner in 15th Field Artillery Regiment RCA on 25 Mar 1982, qualified General Military Training on 11 Aug 1982, qualified TQ1 Artilleryman on 22 Jul 1983, qualified TQ2 Basic Artillery Technician on 12 Aug 1983, released on 18 Feb 1984. Lee, Yong Jae; Taken on strength as a Gunner in 15th Field Artillery Regiment RCA on 25 Mar 1982, qualified General Military Training on 11 Aug 1982, qualified TQ1 Artilleryman on 22 Jul 1983, qualified TQ2 Basic Artillery Technician on 12 Aug 1983, released on 18 Feb 1984. Leeson, Raymond Charles; Taken on strength 15th Field Regiment RCA on enrolment on 20 Sep 1955, struck off strength on release on 1 May 1956. Lefloch, Derek Michael; ​Taken on strength as a Gunner in 15th Field Artillery Regiment RCA on 26 May 1992, qualified QL2 General Military Training on 24 Jul 1992, qualified QL3 Artillery on 14 Aug 1992, qualified QL4 Artillery on 29 May 1993, released on 22 Sep 1994. Lehman, Stan Earl; Taken on strength as a Gunner in 15th Field Artillery Regiment RCA on30 Jun 1993, released on 11 Aug 1983. Lehtonen, Allan Eric; Taken on strength as a Musician in 15th Field Artillery Regiment RCA on 18 Mar 1971, promoted Corporal on 1 Sep 1971, released 1 Jan 1975. Leighton, John Ward; Taken on strength in 15th Field Regiment RCA on 5 Nov 1953, struck off strength on 20 Apr 1954. Leisz, Nandor (Fred); Taken on strength 85 Battery 15th Field Artillery Regiment RCA in 1963, released in 1966. Lemay, Joseph Yves Lorenzo; Taken on strength as a Musician with previous service in 15th Field Artillery Regiment RCA on 8 Sep 1983, released on 25 May 1984. Lenhart, Charles; Taken on strength as a Gunner with 85th Battery 15th (Vancouver) Coast Regiment RCA NPAM on 9 Aug 1940, assigned regimental number V10465, assigned new regimental number K417539. ​Lenis, George David; Taken on strength as a Gunner in 15th Field Artillery Regiment RCA 24 Jan 1985, qualified General Military Training 9 Aug 1985, qualified Trade Qualification 1 Artilleryman 20 Sep 1985, promoted Bombardier 13 Mar 1986, qualified Artillery Technician 19 Jul 1986, qualified Driver Non-Trade 30 Dec 1985, qualified Combat Leaders Course 30 Jul 1987, promoted Master Bombardier 10 Dec 1987, promoted Sergeant 28 Oct 1993, transferred to 20th Field Artillery Regiment RCA 19 Oct 1995, transferred to 15th Field Artillery Regiment RCA, commissioned Lieutenant in 2005, struck off strength 2013, Air Canada pilot. Lennox, DW; Taken on strength on transfer from Central Command Contingent COTC (31 Field Regiment RCA) as Officer Cadet on 26 Sep 1955, promoted Second Lieutenant on 27 Sep 1955, Major from 1967 to 1969, Battery Commander 158 Battery in 1967, Battery Commander 31 Battery in 1969. 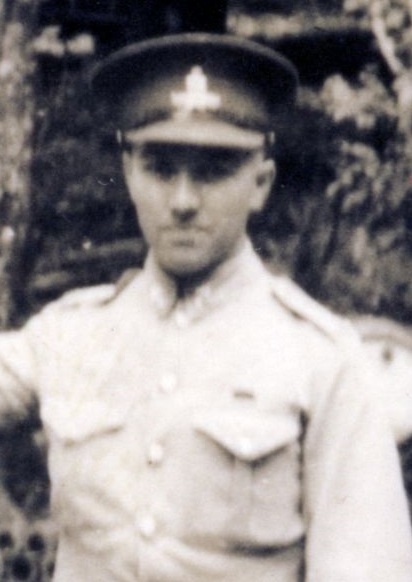 Lennox, GE; Second Lieutenant in 1941, appointed to the 15th (Vancouver) Coast Regiment RCA effective 1 July 1941. Lennox, Jordan Wead; Taken on strength as a Gunner in 15th Field Artillery Regiment RCA on 22 Apr 1993, qualified QL2 General Military Training on 2 Jun 1993, qualified QL3 Artilleryman on 25 Nov 1993, released on 26 Oct 1995. Lentaigne, Alcid Vencente; Taken on strength 15th Field Regiment RCA on enrolment on 22 Sep 1955. Leo, LM; ​Lieutenant in Corps Reserve for 15th Brigade Canadian Field Artillery from 1922 to 1924. ​Leppard, Norman Elgar; Taken on strength 31 Battery 15th (Vancouver) Coast Brigade RCA NPAM 6 Aug 1940, assigned regimental number VV9465, assigned new regimental number K415570. Lester, Robert Alfred Vernon; Taken on strength 31 Battery 15th (Vancouver) Coast Brigade RCA NPAM 30 Jul 1940, assigned regimental number V9466, appointed Acting Lance Bombardier 15 Sep 1940, assigned new regimental number K415515, struck off strength for business out of town 19 Nov 1940. Leslie, Harold James; Taken on strength with Prince Edward Island Light Horse in 1910, taken on strength with Prince Edward Island Heavy Brigade Canadian Garrison Artillery, taken on strength as a Gunner with the No. 5 Siege Battery Canadian Garrison Artillery on 3 Jun 1916, embarked on the S.S. Southland on 26th Sep 1916, unit renamed 8th Siege Battery Canadian Garrison Artillery on 31 Mar 1917, landed in France on 31 Mar 1917, gassed on 31 Jul 1917, appointed Acting Lance Bombardier on 1 Aug 1917, taken on strength Canadian Artillery Reinforcement Depot on 13 Aug 1917, awarded Military Medal on 17 Oct 1917, attached to 2 CCD 29 Nov 1917, cease attachment 19 Jan 1918, appointed Acting Bombardier 27 Feb 1918, struck off strength to Composite Brigade Canadian Garrison Artillery on 23 May 1918, reverts to Acting Bombardier 26 Jun 1918, struck off strength to 3rd Brigade Canadian Garrison Artillery 8 Aug 1918, taken on strength Canadian Artillery Reinforcement Depot on 30 Sep 1918, appointed Acting Corporal on 1 Nov 1918, struck off strength to Canada 12 Jan 1919, promoted Corporal 20 Jan 1919, discharged 3 Mar 1919. Letch, Charles John; ​Served with Territorials in England, attested 7th Battery Canadian Field Artillery Canadian Overseas Expeditionary Force 7 Sep 1915, taken on strength 31st Battery 8th Brigade Canadian Field Artillery 16 Nov 1915, regimental number 302680, embarked from St John 5 Feb 1916, disembarked Plymouth 14 Feb 1916, landed in France 14 Jul 1916, killed in action 4 Nov 1916, buried Albert Communal Cemetery Extension Somme France. 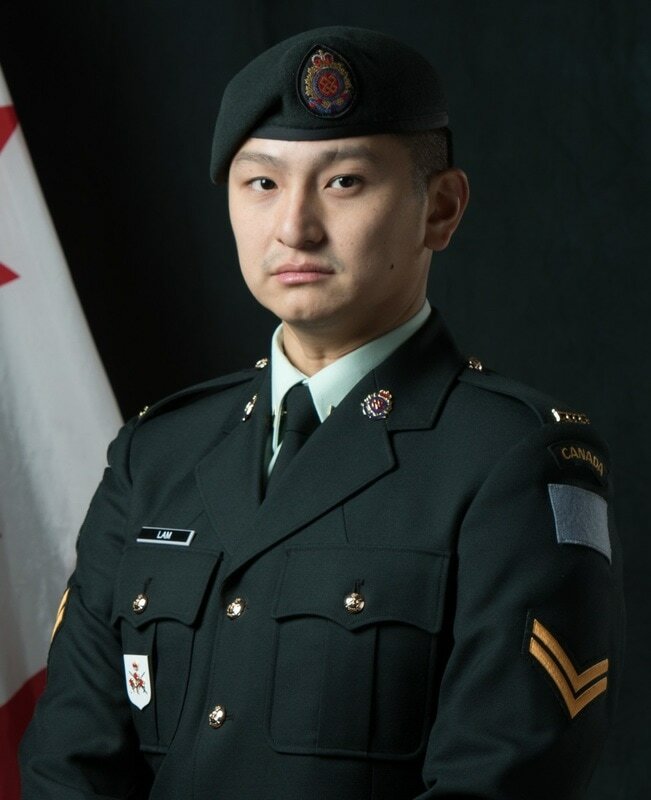 Leung, Nicholas L; Taken on strength as a Gunner in 15th Field Artillery Regiment RCA, Gunner in 2017. Leverett, LW; Private in 31 Battery in 1969. Levien, David Kenneth; Taken on strength as a Gunner in 15th Field Artillery Regiment RCA on 3 Feb 1970, qualified General Military Training on 1 Jun 1970, qualified Musician R871C on 5 Sep 1972, promoted Bombardier on 1 Apr 1973, qualified Senior NCO Course on 17 Aug 1974, qualified Musician E1 on 24 Apr 1975, qualified Combat Leaders Course on 3 Nov 1974, promoted Sergeant on 1 May 1975, awarded Dumoulin Trophy for 1979, promoted Warrant Officer on 1 Jan 1981, qualified TQ2 Artillery Technician on 5 May 1981, qualified QL6B Musician on 1 Jan 1981, Change occupation to R021 Artillery on 1 Jul 1984, awarded Dumoulin Trophy for 1986, qualified Master Warrant Officer on 8 Jul 1988, promoted Master Warrant Officer on 10 Sep 1988, appointed Regimental Sergeant Major on 10 Sep 1988, released 13 Jun 1996. ​Lewis, Cecil James; Taken on strength as a Lieutenant in 15th Field Regiment RCA from the Supplementary Reserve of Officers on 23 Sep 1948, struck off strength on transfer to the Supplementary Reserve of Officers in the rank of Lieutenant on 16 Feb 1950. ​Lewis, Kathryn Ann; Taken on strength 15th Field Artillery Regiment RCA on 4 Jul 1977, released 15 Sep 1977. 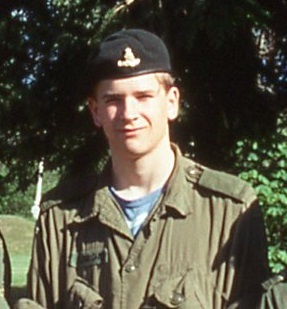 L'Heureux, Jean Guy; Taken on strength as a Gunner in 5th (BC) Field Artillery Regiment RCA on 7 Mar 2000, qualified QL2 General Military Training on 4 Jul 2000, transferred to 15th Field Artillery Regiment RCA on 1 May 2002. Li, Hiu Wah; Taken on strength as a Gunner in 15th Field Artillery Regiment RCA on 22 Mar 2001, qualified QL2 General Military Training on 10 Aug 2001, released on 23 Oct 2003. 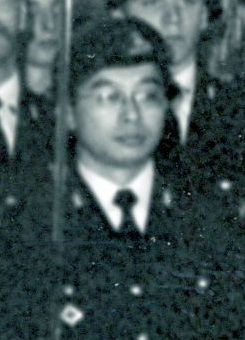 Li, Nelson Pui; Taken on strength15th Field Artillery Regiment RCA on 2 Jul 1981. Li, Taylor Yunfan; Taken on strength as a Gunner in 15th Field Artillery Regiment RCA on 26 Jun 2002, qualified QL2 General Military Training on 26 Jul 2002, qualified QL3 Artillery on 30 Aug 2002. Liang, Dennis Jia-Bin; Taken on strength as a Gunner in 15th Field Artillery Regiment RCA on 22 Mar 1983, released on 14 Apr 1983. ​Lichtmann, Amnon D; Taken on strength as a Gunner in 15th Field Artillery Regiment RCA on 24 Apr 1980, qualified General Military Training on 1 Nov 1980, qualified TQ1 Artilleryman on 26 Feb 1981, promoted Bombardier on 1 May 1981, qualified TQ2 Artillery Basic Communicator on 14 Aug 1981, qualified TQ2 Artillery Basic Technician on 13 Aug 1981, qualified Junior NCO on 2 Jul 1982, promoted Master Bombardier on 1 May 1983, qualified TQ3 Artillery on 1 Nov 1985, promoted Sergeant on 1 Jun 1986, qualified Senior Leader on 28 Jul 1989, qualified Artillery Tech Warrant and Recce TSM Course on 19 Aug 1989, awarded Dumoulin Trophy for 1990, transferred to Supplementary Ready Reserve on 3 Feb 1993. Life; Taken on strength 15th Field Artillery Regiment RCA, Second Lieutenant 2018. Lihou, Stephen Michael; Taken on strength as a Gunner in 15th Field Artillery Regiment RCA on 29 Jan 1983, qualified TQ1 Artilleryman on 22 Jul 1983, qualified General Military Training on 3 Aug 1983, qualified TQ2 Basic Artillery Technicianon 12 Aug 1983, transferred to 7th Toronto Regiment RCA on 17 Oct 1983. ​Lim, Stephen Pui Yen; Taken on strength as a Gunner in 15th Field Artillery Regiment RCA on 27 Jun 1985, qualified General Military Training on 9 Aug 1985, released on 6 Sep 1986. Lim, Yoohni; Taken on strength as an Administrative Clerk in 15th Field Artillery Regiment RCA on 4 Jul 1977, qualified Administrative Clerk on 11 Mar 1978, promoted Corporal on 1 Sep 1978, released 8 Oct 1981. Lin, Darryl Dexing; Taken on strength as a Gunner in 15th Field Artillery Regiment RCA on 20 May 1992, qualified General Military Training on 26 Jun 1992, qualified Basic Communications on 22 Nov 1992, qualified LFC Driver Wheeled on 24 Nov 1993, qualified QL3 Artillery on 23 Mar 1994, promoted Bombardier on 20 Apr 1995, qualified QL4 Artillery Basic Tech Part 1,2 & 3 on 28 Jul 1995, released on 15 Oct 1998. Linden, Harold David; Taken on strength as Officer Cadet in 15th Fd Regiment RCA on 13 May 1952, struck off strength on 12 Nov 1953. Lindgaard, Craig Alan Harold; Taken on strength as a Musician in 15th Field Artillery Regiment RCA on 1 Jun 1979, released 26 Sep 1979. 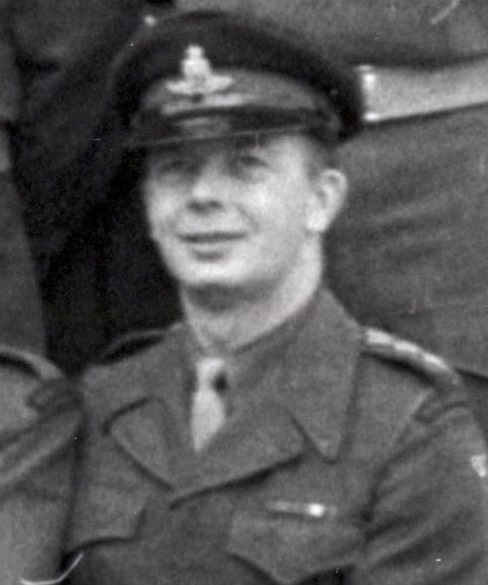 Lindsay, Bernard C; Taken on strength in 15 Field Regiment RCA on 11 Jan 1951, struck off strength on release on 19 Nov 1954. Lindsay, Lorne R; Taken on strength in 15 Field Regiment RCA on 11 Jan 1951, struck off strength on release on 4 Feb 1954. Lindsay, SA; Struck off strength from 15th Field Regiment RCA on 20 Sep 1951. 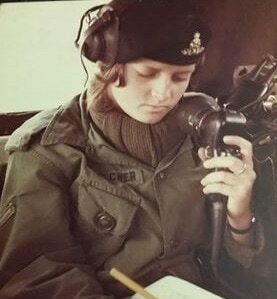 Lineker, Kerrie Jean; Taken on strength as a Gunner in 15th Field Artillery Regiment RCA on 18 Jun 1992, qualified QL2 General Military Training on 7 Aug 1992, qualified QL3 Artilleryman on 2 Jun 1993, qualified LFC Driver Wheeled on 14 Feb 1993, qualified QL4 Basic Artillery Technician Part 1 on 30 Jun 1993, qualified QL4 Basic Artillery Technician Part II (CP) on 27 jul 1993, promoted Bombardier on 12 May 1994, released on 12 Oct 1995. Linley, Mark Anthony; Taken on strength as a Gunner in 15th Field Artillery Regiment RCA on 11 Jul 1983, qualified General Military Training on 19 Aug 1983, qualified TQ1 Artilleryman on 20 Sep 1983, transferred to Supplementary List on 23 Aug 1984. Linn, Darryl D; Bombardier in 31 Battery in 1998. Litt, Navdeep S; Bombardier in 31 Battery from 1998 to 2000. Litt, Surgit Singh; Taken on strength as a Gunner in 15th Field Artillery Regiment RCA on 11 May 1989, qualified General Military Training on 25 Aug 1989, qualified BTT Infantry on 25 Aug 1989, transferred to Regular Force on 28 Sep 1989. Little, JP; Private in 31 Battery in 1969. Littler, Christopher Harry; Taken on strength 15th Field Artillery Regiment RCA on 4 Jul 1977, released 28 Aug 1977. Liu Yew Fai, Pierre; Taken on strength as a Gunner in 15th Field Artillery Regiment RCA on 17 Jun 1993, released on 3o Apr 1994. Livingstone, Rowan George Copeland; Taken on strength as a Gunner in 15th Field Artillery Regiment RCA on 12 May 1992, qualified QL2 General Military Training on 24 Jul 1992, released on 31 Jan 1994. Lloyd, Beecham Edwin; ​Attested Canadian Overseas Expeditionary Force 18 Oct 1915, regimental #300222, 41st Regiment (Brockville Rifles), transferred to 32nd Battery 9th Brigade 19 Oct 1915, arrived in England 27 Dec 1915, embarked for France 23 Apr 1916, taken on strength 1st Canadian Divisional Artillery Column 24 Apr 1916, posted to 3rd Brigade Canadian Field Artillery 1 May 1916, attached to 1st Army Artillery School as batman to Lieutenant B Steel 11 Dec 1916, cease attachment 23 Dec 1916, wounded 10 Apr 1917, invalided and posted to Canadian Artillery Regimental Depot 23 Jul 1917, attached 2 CCD 12 Oct 1917, ceases attachment 18 Jan 1918, taken on strength Reserve Brigade Canadian Field Artillery 18 Jan 1918, taken on strength Composite Brigade Canadian Reserve Artillery 23 May 1918, taken on strength 68th Battery 16th Brigade Canadian Field Artillery North Russia Expeditionary Force 21 Aug 1918, proceeded overseas 20 Sep 1918, arrived Archangel 1 Oct 1918, hospitalized severe influenza 8 Oct 1918, discharged to duty 16 Oct 1918, embarked for the United Kingdom 11 Jun 1919, to Canada 5 Jul 1919, discharged 15 Jul 1919. Lloyd, Leiland L; Taken on strength as a Gunner in 15th Field Artillery Regiment RCA, Bombardier in 2017. Lloyd, Leonard Joseph; Taken on strength as a Gunner in 15th Field Artillery Regiment RCA on 30 Nov 1993, released on 31 Jan 1995. Lo, Jason; Taken on strength as a Gunner 15th Field Artillery Regiment RCA on 5 Feb 1981, transferred to Seaforth Highlanders of Canada on 11 Jun 1981. Lo, Raymond Chiu-Kuen; Taken on strength as a Gunner in 15th Field Artillery Regiment RCA on 3 May 1984, released on 7 Mar 1985. Loader, Wilfred Herridge; Taken on strength as a Gunner with 58th Battery 15th (Vancouver) Coast Regiment RCA NPAM on 7 Aug 1940, assigned regimental number V9963, assigned new regimental number K416577. Lochran, Anthony Gerard; Taken on strength as a Gunner in 15th Field Artillery Regiment RCA on 9 Feb 1984, released on 26 Jan 1985. Lochrie (Lochries), DL​; ​Appointed Lance Bombardier on 13 Nov 1952, struck off strength on 19 May 1954. Lochriff, Donald Llewellyn; Taken on strength with former service in Seaforth Highlanders of Canada Reserve Force in 15th Fd Regiment RCA on 14 Feb 1952. Locke, Charles Conrad; Taken on strength as Second Lieutenant in 31st Battery 15th (Vancouver) Coast Brigade RCA NPAM 12 Aug 1940, appointed 15th Coast Brigade RCA AF on 24 February 1941, taken on strength 3rd Medium Regiment RCA, promoted Captain, mentioned in Despatches 6 Oct 1945, legal career, justice of both the Supreme Court and Court of Appeal of British Columbia, also served as President of the British Columbia Law Society and President of the Federation of Law Societies of Canada, deceased 1 Oct 2011. ​Lockhart, Ed J; Battery Sergeant Major of 85th Heavy Battery 15th (Vancouver) Coast Brigade RCA on Yorke Island. Lockhart, WT; Lieutenant-Colonel in 1928, Medical Officer attached to 15th Field Brigade CA in 1928. Lodge, George Stephenson; Taken on strength as a Gunner in 15th Field Regiment RCA on 5 Jun 1948, appointed Acting Sergeant on 6 Jun 1948, struck off strength on 31 Oct 1949. Lodge, KO; Lieutenant in 1958, 43rd Medium Anti-Aircraft Regiment RCA in 1958. 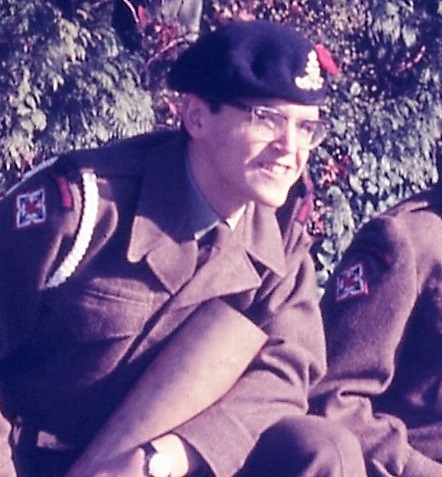 Loewen, Charles Barnard; Taken on strength in 15th Field Regiment RCA as Second Lieutenant on transfer from UBC Contingent Canadian Officers Training Corps on 1 Oct 1953, promoted Lieutenant on 18 May 1954, struck off strength on transfer to Supplementary Reserve RCA on 1 Nov 1954. Loewen, Charles Falkland; Enrolled at Royal Military College 1916, qualified for Officers' commission in 1918 but withheld as he was only 17 1/2 years of age, returned to Vancouver and enrolled in 68th Depot Battery CFA, enroute to England when Armistice declared, enrolled in 68th Battery 16 Brigade Canadian Field Artillery North Russia Expeditionary Force, held back from embarkation as he had not yet turned 19, enlisted in 11th Brigade Royal Field Artillery as Second Lieutenant and shipped to Palestine, promoted Lieutenant 17 Mar 1920, promoted Captain 17 Sep 1931​, student at Staff College Quetta 1933, promoted Brevet Major 2 Jul 1937, promoted Major 1938, served in India with local rank of Lieutenant Colonel from 1 Nov 1938), promoted Brevet Lieutenant Colonel 1 Jul 1939, promoted substantive Lieutenant Colonel 1941, served as Commander Royal Artillery (CRA) in the 55th (West Lancashire) Infantry Division, then 6th Infantry Division, then 1st Infantry Division and finally I Corps, saw active service during the Norwegian Campaign and took part in planning in the War Office, promoted Colonel 30 Jun 1943, drafted Operation Skyscraper to occur on the beaches of Normandy, served in the Italian Campaign as General Officer Commanding (GOC) British 1st Infantry Division July 1944, promoted temporary Brigadier by 1944, promoted to the acting rank of Major-General 24 Jul 1944, promoted permanent rank of Major-General 6 May 1946, Commanded 6th Armoured Division 1946, 50th (Northumbrian) Infantry Division 1948, appointed General Officer Commanding-in-Chief of Anti-Aircraft Command on 27 May 1950, promoted Lieutenant-General 27 May 1950, appointed General Officer Commanding-in-Chief of Western Command 23 Apr 1953, appointed Commander-in-Chief Far East Land Forces 13 Oct 1953, promoted General 16 Apr 1954, appointed Adjutant-General to the Forces 1956, Aide-de-Camp General to the Queen from 1956 to 1959, retired from the British Army 1959, deceased 17 Aug 1986. Lofstrom, Eric Carl; Taken on strength as a Gunner in 15th Field Artillery Regiment RCA on 20 Jun 1974, remustered as Musician on 1 Feb 1975, released 16 Jun 1977. Logan, Bruce Michael; Taken on strength 15th Field Regiment RCA on enrolment on 5 Jan 1956, struck off strength on release on 1 May 1957. 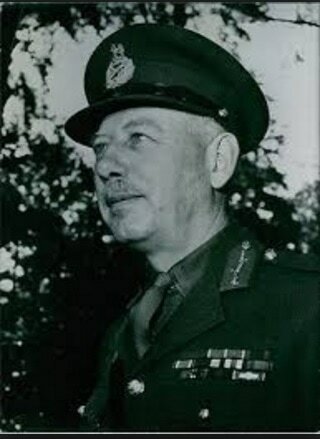 Logan, DG; Royal Canadian Army Pay Corps, Captain in 1958, 43rd Medium Anti-Aircraft Regiment RCA in 1958. Logan, William James; Taken on strength as a Gunner 15th Field Artillery Regiment RCA on 5 Mar 1977, released 27 Oct 1977. ​Lohnes, Robert Raymond; Struck off strength as a Gunner in 15th Field Artillery Regiment RCA CA (M) on 6 October 1966. Loiselle, William (Bill); Taken on strength as a Gunner in 15th Field Artillery Regiment RCA on 11 Mar 1971, qualified Artillery Technician on 21 Jun 1973, qualified Artilleryman on 5 Jan 1974, promoted Bombardier on 1 Jul 1974, qualified Supply Technician on 19 Jul 1974, appointed Master Bombardier on 1 Dec 1976, released 14 Sep 1978, deceased in 2015, interred Mountain view Cemetery Vancouver BC. London; Awarded Most Efficient Recruit of the Year trophy 2002. ​Loney, Doug Edward; Taken on strength 7 Oct 1971, qualified Artilleryman on 31 Mar 1973, promoted Bombardier on 1 Jul 1974, vehicle despatcher 1975 and 1976, released 20 Sep 1977. ​Longon, William Bruce Dirk; Lieutenant in 1958, 43rd Medium Anti-Aircraft Regiment RCA in 1958, Lieutenant from 1961 to 1962, 85th Battery 15th Field Artillery Regiment RCA in 1961, Captain 1967, deceased 2 Sep 2006, buried Gods Acre Veterans' Cemetery Victoria BC. Lopez, Axel Adan; ​Taken on strength as a Gunner in 15th Field Artillery Regiment RCA on 11 Jun 1988, qualified General Military Training on 27 Aug 1988, released on 23 Oct 1988. Lopianowski, Chris Marian; Taken on strength as a Gunner in 15th Field Artillery Regiment RCA on 11 Jun 1988, qualified General Military Training on 27 Aug 1988, transferred to The Royal Westminster Regiment on 13 Oct 1988. Lord, Victor Joseph; Attested 23 Sep 1914, regimental #6130, Gunner in Battery Royal Canadian Horse Artillery, landed in France 20 Jul 1915, attached to Canadian Base Depot 18 Jul 1915, transferred to England for discharge 7 Apr 1916, taken on strength Reserve Brigade Canadian Field Artillery, drafted to France for 2nd Divisional Artillery Column 25 Jun 1916, awarded Good Conduct Badge 23 Sep 1916, granted 10 days leave 3 Aug 1917, returned from leave 12 Aug 1917, posted to Canadian Artillery Regimental Depot for furlough to Canada 19 Feb 1918, furlough to Canada 9 Apr 1918, posted to Canadian Artillery Regimental Depot 6 Aug 1918, taken on strength Composite Brigade Canadian Reserve Artillery 18 Aug 1918, taken on strength 68 Battery 16 Brigade 21 Aug 1918, proceeded overseas North Russia Expeditionary Force 20 Sep 1918, disembarked Archangel 1 Oct 1918, promoted Corporal 24 Jan 1919, embarked Archangel for the United Kingdom 11 Jun 1919, to Canada 5 Jul 1919, discharged 15 Jul 1919. Loren, Franco; Taken on strength as a Gunner with previous service in 15th Field Artillery Regiment RCA on 12 Jul 1985, qualified General Military Training, qualified TQ1 Artillery, qualified TQ2 Artillery, released on 26 Oct 1985. Lorimer, George Bruce; Taken on strength 2nd Battalion Irish Fusiliers, taken on strength 58th Battery 15th (Vancouver) Coast Brigade RCA NPAM as a Gunner 31 Oct 1940. ​Louangxay, Liane Boua; Taken on strength as an RMS Clerk in 15th Field Artillery Regiment RCA on 23 Jun 1992, qualified QL2 General Military Training on 7 Aug 1992, qualified FMC Driver Wheeled on 14 Dec 1993, qualified QL3 Finance on 21 Jul 1993, qualified QL4 Artillery Driver Wheeled on 14 Feb 1993, promoted Acting Corporal on 21 Apr 1994,qualified QL4 Finance 16 Aug 1995, awarded Most Efficient Corporal of the Year 1996, qualified QL3 Finance conversion 31 Aug 1998, released 10 Sep 2003. 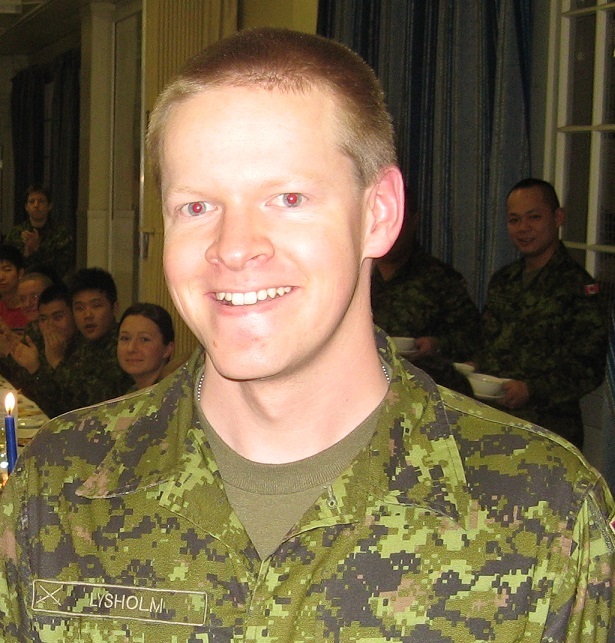 ​Lougheed, Brian J; Regular Force Cadre Sergeant in 1992, Warrant Officer 1994, component transferred to primary reserves, 5th (BC) Field Regiment RCA, Master Warrant Officer, Chief Warrant Officer and Regimental Sergeant Major 5th (BC) Field Regiment RCA, commissioned Captain in 2016. Louie, Charlie Youn;Taken on strength as a Gunner 15th Field Artillery Regiment RCA on 7 Jul 1975, released 16 Oct 1975. Louie, N; Member of 15th Field Regiment RCA CA(M) Military Band on 15 Oct 1959, struck off strength on transfer to 6 Field Squadron RCE CA(M) on 15 Oct 1959. Love, RW; Private in the Regimental Band in 1969. Lovely, James Donald; Taken on strength 2nd Battalion The Seaforth Highlanders of Canada, assigned regimental number K489416, taken on strength 85th Battery 15th (Vancouver) Coast Brigade RCA NPAM 15 Nov 1940. Low, GR; Private in the Regimental Band in 1969. Lowe, James Matthew; Taken on strength 15th Field Regiment RCA on 6 Jan 1955, taken on strength on 9 Oct 1958. ​Lowey, SM; Acting Bombardier in 15th (Coast) Brigade RCA CA in 1942. 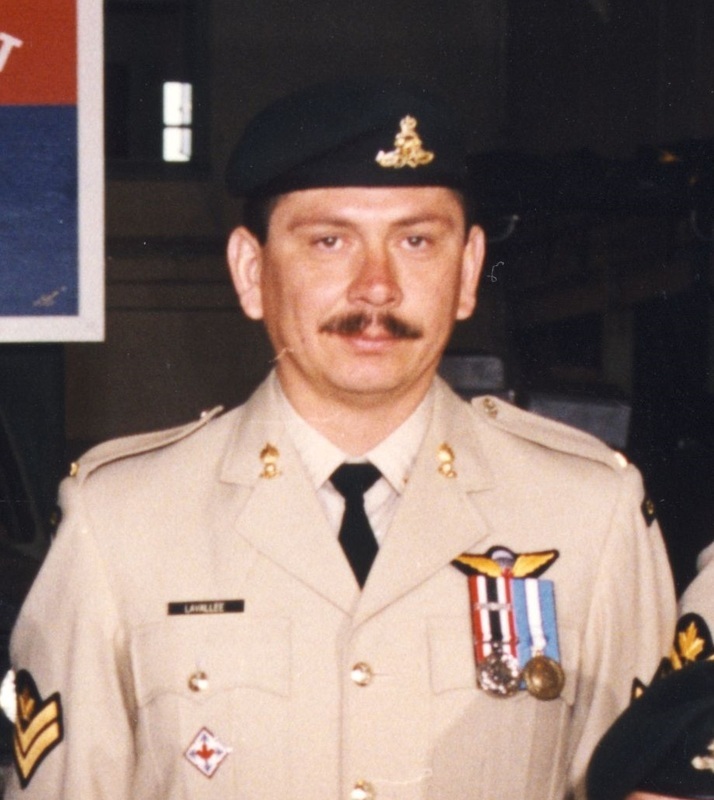 Lowka, Stephen Bruno; Taken on strength as a Gunner in 15th Field Artillery Regiment RCA on 11 Jun 1988, qualified General Military Training on 27 Aug 1988, released on 23 Feb 1989. Loy, Alton; Taken on strength as a Gunner in 15th Field Artillery Regiment RCA on 23 Sep 1982, qualified General Military Training on 31 Dec 1982, qualified TQ1 Artilleryman on 22 Jul 1983, qualified TQ2 Basic Artillery Technician on 12 Aug 1983, promoted Bombardier on 23 Sep 1983, released on 22 Mar 1985. Lu, David; Taken on strength in 15th Field Artillery Regiment RCA, Sergeant in 2016. Luc, Alan Alfred; Taken on strength as a Gunner 15th Field Artillery Regiment RCA on 7 Jul 1980, released 1 Apr 1982. 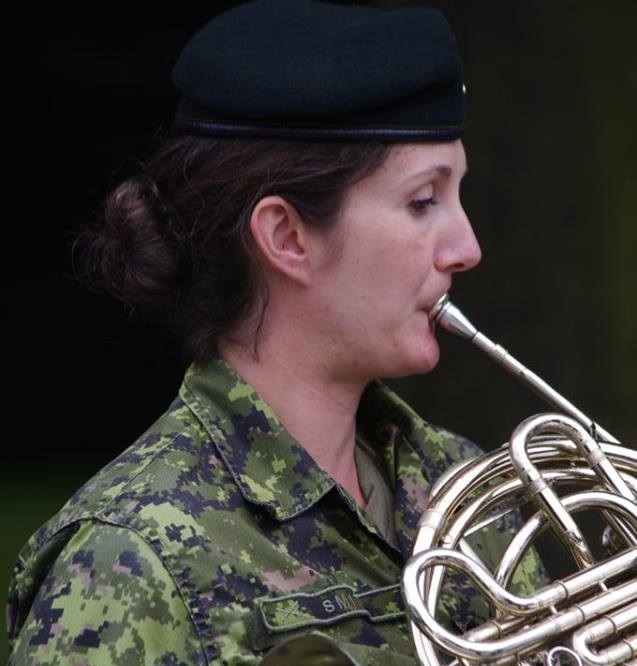 Ludwig, Megan J; Taken on strength as a Musician in 15th Field Artillery Regiment RCA, Bombardier from 2014 to 2017. 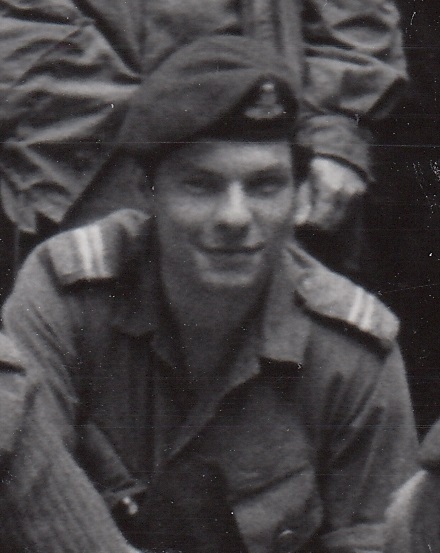 ​Luke, Donald Jory; ​Taken on strength as a Gunner in 15th Field Artillery Regiment RCA CA (M) on 18 October 1966. 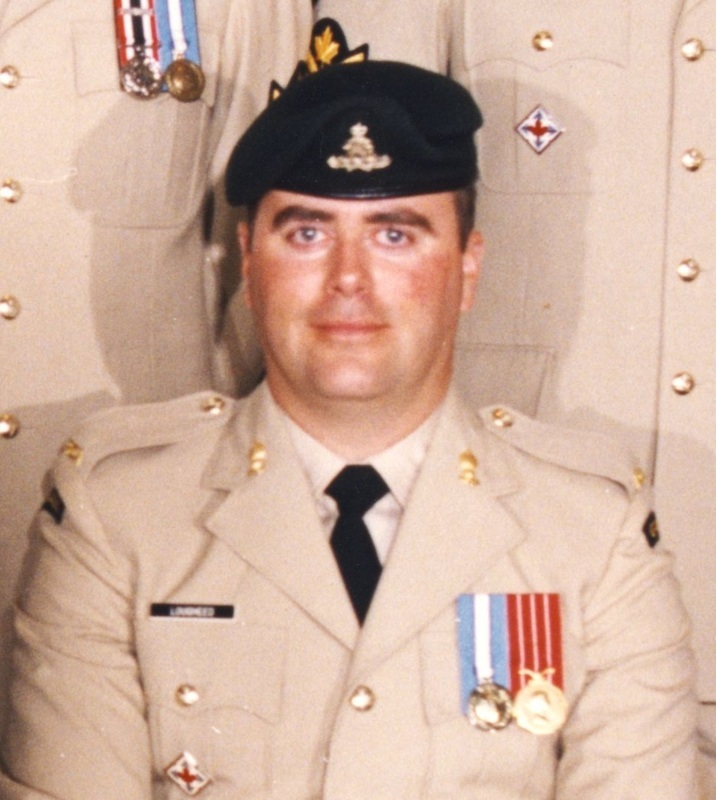 Lukiv, Shannon Elizabeth; Taken on strength as a Gunner in 15th Field Artillery Regiment RCA on 6 May 1997, qualified QL2 General Military Training on 3 Aug 1997, qualified QL3 Artilleryman on 22 Aug 1997, qualified QL4 Artillery Communications on 22 Feb 1998, promoted Bombardier on 26 Apr 2000. ​Lum, Benson; Taken on Strength as an Infantryman in Seaforth Highlanders of Canada, remustered to Logistics trade, transferred to The British Columbia Regiment, transferred to 15th Field Artillery Regiment RCA on 1 Jul 1992, qualified Radiation Safety Officers Course on 30 Mar 1995, qualified QL6A RMS Conversion Course on 4 Aug 1998, promoted Warrant Officer in Sep 1984, transferred to 744 Communications Regiment on 1 Apr 2001, transferred to 39 Canadian Brigade Group Headquarters in 2007, transferred to 12 Service Battalion, promoted Master Warrant Officer 2009, promoted Chief Warrant Officer and appointed Regimental Sergeant Major 39 Service Battalion 2011, commissioned to Captain 2013. Lum, J; Member of 15th Field Regiment RCA CA(M) Military Band on 15 Oct 1959, struck off strength on transfer to 6 Field Squadron RCE CA(M) on 15 Oct 1959. ​Lum, William; Taken on strength 15 Field Regiment RCA on 25 Mar 1954, struck off strength on release on 23 Sep 1954. ​Luney, Bob; Gunner in 85th Heavy Battery 15th (Vancouver) Coast Brigade RCA in Aug 1939. Ly, Lan Doc; Taken on strength 15th Field Artillery Regiment RCA on 2 Jul 1981, released 6 Sep 1981. ​​Lysholm, Wayne Kenneth; Taken on strength as aSupply Technician in 15th Field Artillery Regiment RCA 20 Mar 1999, qualified Basic QL2 20 Aug 1999, qualified Supply Technician 24 Aug 2000, awarded Most Efficient Corporal of the Year 2001, qualified LFC Driver Wheeled 26 Jan 2002, Corporal from 2003 to 2006, Master Corporal 2006 to 2007, Sergeant from 2010 to 2015, awarded Dumoulin Trophy for 2010.